In this episode, Nevik is all by his lonesome to fill in the listeners about the impromptu hiatus and state of the podcast. After reassuring that the show is far from dead and some catching up, Nevik gets down to business by discussing what he’s been up to in-game: spreading the virtues of Clementine, his level 70 HC monk! * We read, and respond to, a mountain of emails we received from our wonderful listeners. This batch came to us from Dred, Scanline, and Commander Bird! Thank you for the amazing amount of emails! Keep them coming, really! * We received a mountain of tweets from @sadromeo, @BlizzconCD, @shawno, @Rilandune, @JCMonkeyD3, @scanline75, @Torrack1714, @dwegan, @Chaos5061, @wowjason62606, @grindexp, @JeremyTStevens, @Paidtokill5440, and @HomeTownHero008. * The show isn’t dead. Far from it. This show is still very much a passion for all of the hosts, but as Nevik explains, sometimes real life just gets in the way. Things should be getting “back on track” as we approach the launch of 2.1! * The Diablo III: Reaper of Souls – Ultimate Evil Edition is upon us! Are you planning the console version while waiting for Patch 2.1? If you made the jump from PS3/Xbox 360 to a PS4 or XBOne, you’re in luck as Blizzard detailed how to transfer your old Diablo III save to the shiny new UEE. * How close is the patch anyways? In an interview with Arreat.de Production Director John Hight hints that there’s still a chance that we might see patch 2.1 later this month! * There are two new Diablo podcasts out in the wild for you to consume and enjoy! Check out D3 Addicted and Kulle Story Bro which both have a trio of episodes for you to enjoy! Support them and spread the love! * Cuckoo Gaming has put together a series of Fully Crafted Torment Viable guides on YouTube for four out of the five six classes: Wizard, Crusader, Barbarian, Puke Doctor. Hopefully these videos sate your appetite for knowledge until we finally discuss how to be torment viable on our show. Friend of the show and Forum Warrior Melkor is back with another freestyle rap, Forum Warriors – Invasion. With a catchy beat and some timely advice Melkor is back in form with this masterpiece. Be sure to support and check out more of Melkor’s work on YouTube. Thank you for giving Kulle Story Bro a shoutout in Episode 66 and posting a link in the show notes even though I completely left your show out in the first episode of Kulle Story Bro; due to poor searching techniques in iTunes(iTunes and I have a hate/hate relationship). 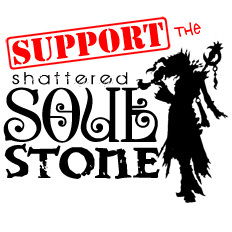 I highly doubt that anyone listening to KSB is unaware of Shattered Soulstone, but I will definitely fix my mistake in the next KSB episode. Now that I have became aware to your podcast and site, I have became a huge fan. Everything is done so well with the show, site, production, and extras. I am glad you guys (at least Nevik at this point) are back to publishing episodes and I am looking forward to hearing what the whole team thinks of 2.1 (when it goes live). Again, thank you so much for the comment, shoutout, links, and publicity. Nevik, you truly are a class act and I’ll be looking for you guys in game, and not in that creepy restraining order sort of way.